Evancliffe Leathercraft will be demonstrating traditional leatherwork at the Northumberland County Show this year. See how we hand stitch leather to make our unique handcrafted leather products and have a go at Leather Stamping. 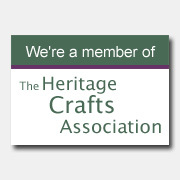 Just look out for us amongst the other traditional heritage crafts demonstrators. Axe Men, Pole Climbing, Firewalking. The Gruffalo & Zog and loads of animals, new for 2019 Owls, Donkeys and Meerkat’s! 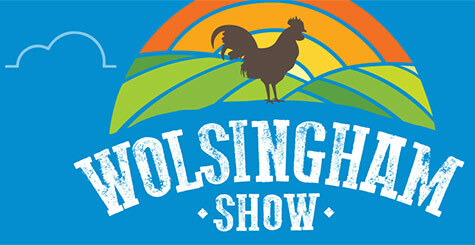 Festival of food, fun farming and music. Evancliffe Leathercraft will be providing our popular Leather Stamping Activity for visitors to River tees Rediscovered Landscape partnership / Groundworks NE & Cumbria Civil War Event on Saturday 17th August 2019. 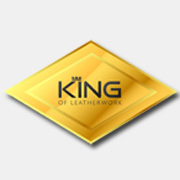 We will have a whole range of leather shapes to choose from. You can add your own design using a variety of traditional stamp patterns, using them to make individual patterns or combining them to make more complicated designs. Be amazed as we add colour and see the how it highlights the pattern you have created. The Tees Valley has always been a melting pot of different communities and cultures, from the Romans, Anglo-Saxons and Vikings to the huge numbers of people who poured in to the area to find work in the shipyards, iron and steel works and chemical plants of the 19th and 20th centuries. Every community has added left its own stamp on the collective culture of the area giving a rich and diverse tradition of dance, music, art and theatre as well as a strong sense of place. River Tees Rediscovered is finding new ways to celebrate this and bring it to a wider audience. Evancliffe Leathercraft will be demonstrating traditional leatherwork and running our popular leather stamping activity alongside other heritage craft exhibitors and demonstrators at the 239thWolsingham Show on Sunday 2nd September 2018. There will be a small charge to take part in our Stamping Activity.